Neo-Pure stainless steel flow restrictors can help you save energy, water, and money by keeping a constant water flow rate. 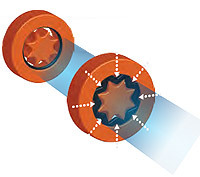 A Neo-Pure flow restrictor helps your system maintain the flow rate it was designed for. Neo-Pure stainless steel flow restrictors can help you save energy, water, and money by keeping a constant water flow rate. A Neo-Pure flow restrictor helps your system maintain the flow rate it was designed for. This means your system can give you its best performance. Flow restrictors are available for flow rates up to 30 gpm. How Does the Neo-Pure Flow Restrictor Work? Flow restrictors are used to maintain a defined flow rate, regardless of pressure variations in the supply line. Precise flow control improves a system’s performance. In plumbing systems, it can also provide comfort of use at low pressure, as well as water and energy savings at high pressure. When there is no flow or pressure, the o-ring inside the restrictor is relaxed. When there is normal pressure, the o-ring is subjected to line pressure and compressed in the seating area. As the pressure decreases, the o-ring relaxes again. 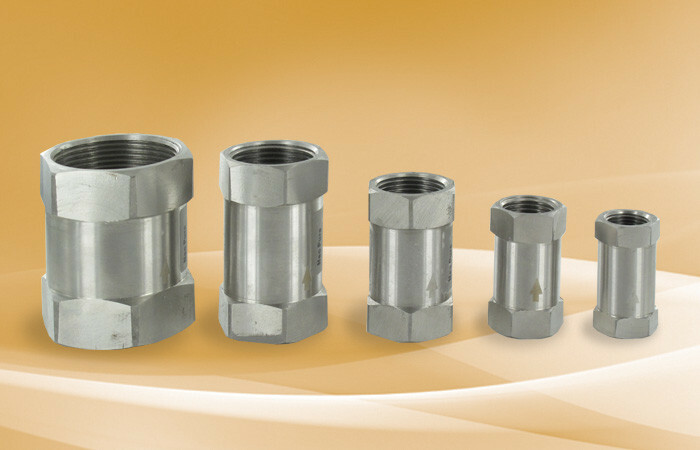 The Neo-Pure FRSS Stainless Steel Flow Restrictor allows for a constant flow over a wide range of pressure variations.